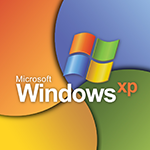 Windows XP Will Not Be HIPAA Compliant in April 2014 - Outsource Management Group, LLC. If you are still using Windows XP machines, you need to be getting rid of them soon. As Mike points out over at Hitech Answers, April 8th is when Microsoft ends all security updates, which puts you in direct violation with HIPAA. “Time’s up. On April 8, 2014, Microsoft is ending security updates and patches for Windows XP and Office 2003. Just having a Windows XP computer on your network will be an automatic HIPAA violation, which makes you non-compliant with Meaningful Use and will be a time bomb that could easily cause a reportable and expensive breach of protected patient information. HIPAA fines and loss of Meaningful Use money can far outweigh the expense of replacing your old computers. My advice? Check all your machines and start getting them phased out now, before it’s too late.